AIMS student portal login page. 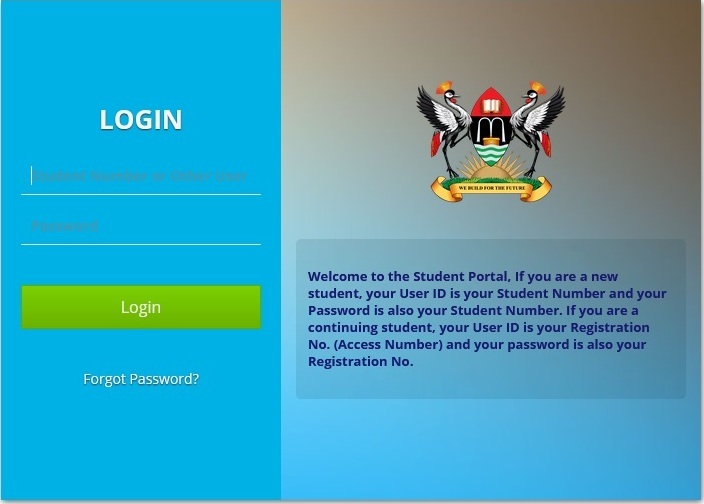 MAKERERE – The Directorate for Information and Communication Technology (ICT) Support (DICTS), Makerere University has released a user guide for online student applications on the AIMS Portal. Applicants need an active email address and contact number, admission letter to pick key details including student number, registration number, program admitted to and an internet connection. For continuing students, they are required to use a Registration Number with the same to act as the password while their first-year counterparts require a Student Number which also works as the Password. The student will also be required to verify their credentials including names, phone contacts and email address to enable the system to capture the required data. Students will then create their own password with a minimum length field of 6. “If you are a new student, your User ID is your Student Number and your Password is also your Student Number. If you are a continuing student, your User ID is your Registration No. and your password is also your Registration No.,” reads a document by DICTS. As part of the migration verification exercise students will also be required to verify their bio-data.